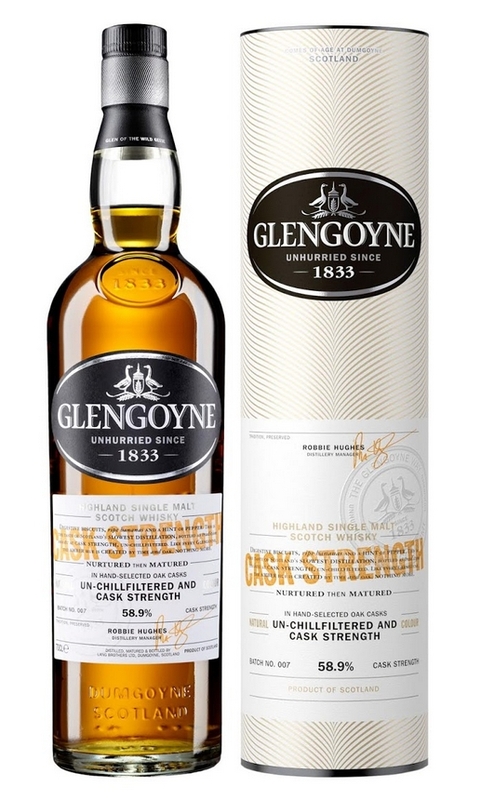 Glengoyne Distillery has announced the launch of Cask Strength Batch No. 007. It’s the first in their Cask Strength collection to feature a small proportion of bourbon barrels in the cask recipe, besides the usual first-fill American and European oak Oloroso sherry casks. Glengoyne Cask Strength Batch No. 007 is bottled un-chillfiltered and natural colour at 58.9% abv, and retails at £59.99 per 70cl bottle.